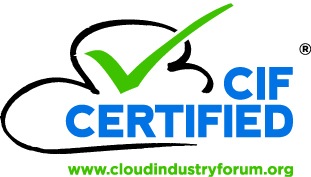 entrustIT have achieved accreditation against the Cloud Industry Forum (CIF) code of practice for cloud providers, demonstrating a commitment to transparency and standard terms of business. The accreditation, achieved shortly after ISO9001 and ISO27001, is a recognition of our commitment to the goal of being a high quality cloud service provider to SME and Not for Profit organisations. As part of certification, we are required to demonstrate our commitment to accountability and transparency. Our charges must be clearly expressed in advance, our terms and conditions must be fair and reasonable and we must commit to an approved means of returning data at contract termination. They use their resources to support a credible self certifying Code of Practice that provides transparency of Cloud service supplier operations and capability such that consumers can have clarity and confidence in their choice of provider. The ongoing development of the Code of Practice is being led by those organisations willing to participate actively.